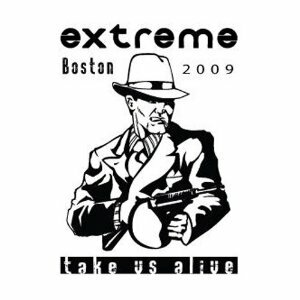 Hall of the Mountain King: Review: Extreme, "Take Us Alive: Boston 2009"
“Take Us Alive” opens with the first song from their most successful record, 1990’s “Pornograffiti.” While there are some new touches to “Decadence Dance,” it’s fairly faithful to the original. From there, they move to the current record for the grooving “Comfortably Dumb” and follow with “Rest in Peace,” one of the better tracks from my least favorite Extreme record “III Sides to Every Story.” It gets the show off to a rousing start. From there, the band plows through pieces from every record. From the first record, we get a medley of songs including “Kid Ego,” “Little Girls” and “Teacher’s Pet.” “Kid Ego” gets a little boost with a slowed down, chunkier guitar sound. The obvious missing link here is “Mutha (Don’t Want to Go to School Today),” and I likely would have opted for that one instead of “Little Girls.” While it was kind of cool when I was 17, to be honest, the song just seems really creepy at 37. “Teacher’s Pet” pretty much sticks with the original. The medley leads to an extended version of “Play With Me,” minus Nuno’s rock version of the opening of Mozart’s “Turkish March” which opens the original. Being my favorite part of the song, I really miss that despite some of the almost thrashing riffs that he offers up in place of it. Of course, we get plenty of shredding goodness throughout the song. “III Sides to Every Story” gets “Rest in Peace,” “Cupid’s Dead,” which funks up the set a little and “Am I Ever Gonna Change.” Two selections make the cut from “Waiting for the Punchline.” “Tell Me Something I Don’t Know,” despite offering some moments for Badger and Bettencourt, seems to slow the tempo of the show a bit. “Midnight Express,” on the other hand, is well-done, giving Nuno a chance to shred on an acoustic for a change. The record’s also fairly heavy on material from “Saudades de Rock,” with four tracks from that record. Most surprising here is how the Queen-influenced harmonies of “Star” come off much better than I would have anticipated in the live setting. Another highlight of the set is the country-fried namesake of the album, “Take Us Alive.” It was one of better songs on "Saudades," and it’s one of the better songs in the live set. I can’t say much about the video, as I only had the audio to work from for this review, but the band sounds great. 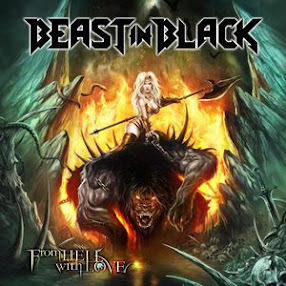 Some of the tougher recorded vocal harmonies are done impressively in this performance, and all of the band members, including new drummer Kevin Figueiredo seem to be in top form. It’s a rock solid performance that sounds more like a band in the prime of its career than a band that was MIA for a decade or so.